Q-HQ or Queenstown Headquarters - grab it now! 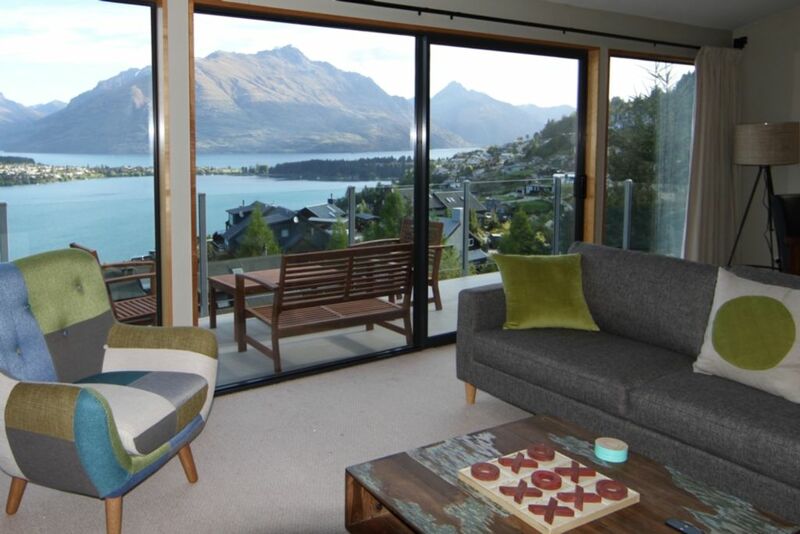 Welcome to Q-HQ or Queenstown Headquarters - the perfect base for your Queenstown adventure! Our rates are ALL INCLUSIVE for up to 8 people - no add-ons for linen, stocked pantry or cleaning. This beautiful home in the Goldfields sub-division is perfectly located between Queenstown's shops, cafes and restaurants and the commercial and retail hub of Frankton and the airport. Easy access to both the Remarkables and Coronet Peak ski fields plus a quick escape over the Crown Range to Cardrona and Wanaka for a change of scenery. The home itself is great for families or groups to share with a fabulous layout, different internal and external spaces for relaxation and entertainment and flexible sleeping configurations so everyone gets a great nights sleep. Both effective and ambient heating options incl. various heat pumps (air-con units) plus a fire in the living area. All firewood supplied for the ultimate Queenstown winter experience. Fantastic set-up in the kitchen incl. Nespresso pod coffee machine, 90cm gas hob and oven, double fridge-freezer for all those holiday supplies, quality crockery and glassware (and lots of it) and everything you need to create fabulous home cooked meals. Lots of great gear for kids and families to enjoy together - games, toys, books, puzzles and art supplies. PS3 with plenty of family friendly board games and a library of DVDs for those rainy days and evenings. Stocked pantry with all the basic condiments. Double garage with lots of room for storing ski gear. The double over double bunk is designed for children to share. No more than 3 adults in this room. No parties please and no smoking. Security bond of $500 payable along with balance of rental 6 weeks prior to stay to cover any major damage or excess cleaning charges. This will be refunded a couple of days after departure to nominated bank account. Inclusive rates for up to 8. Double garage. Nespresso pod coffee machine. Tennis court nearby. abulous house and location which suited our extended family and trip well. Waking up to the view of The Remarkables each morning was truly spectacular. Q-hq is a lovely home. Magnificent view from the property. Magnificent view from the property. Spacious & tidy house, would highly recommend in the future. A beautiful house in a beautiful location. A beautiful house in a beautiful location. Our second visit, likely to be back for another visit next year. The property had all facilities we could have asked for and the recent renovations were great. The property had all facilities we could have asked for and the recent renovations were great. I would definitely stay there again.